Traffic marks are most often seen on polished or semi-polished tiles laid in heavy traffic environments. They appear as dull areas where people walk the most – in entranceways, in front of lifts, at bottom of stairs and so on. These areas will appear duller faster and require more frequent maintenance. This is particularly common in commercial environments. 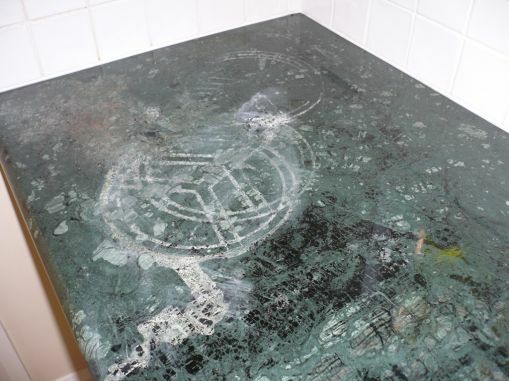 Many of the more desirable polished stone surfaces such as marble, limestone and travertine are more susceptible to wear through surface grime, grit and general traffic. Dirt and grit in particular can scratch the surface and eventually this area will become dull. 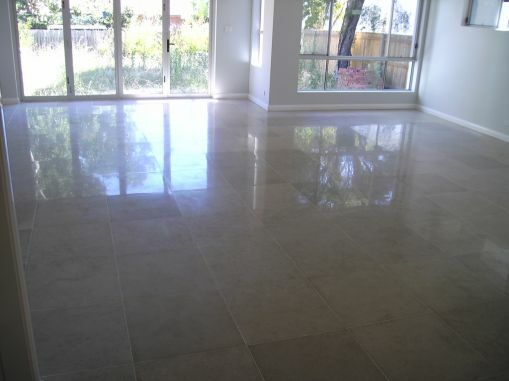 In some cases the use of incorrect cleaning chemicals (such as an acidic product on a calcium-based stone such as marble) will also lead to dullness. 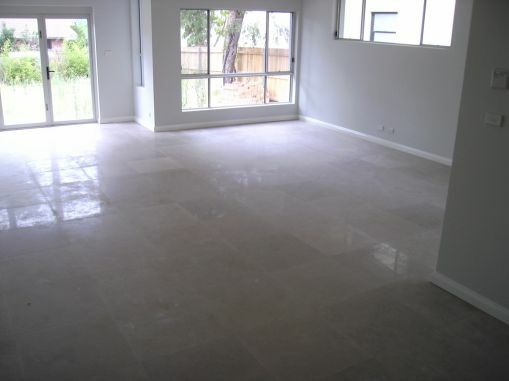 In other cases the stone or tiles will have been supplied with a matt finish. It is possible to convert a matt surface into a gloss finish. Is it possible to get the shine back? Recovery can usually be easily achieved on most calcium-based stone (marble, limestone and travertine) by a Gleam Restoration process. 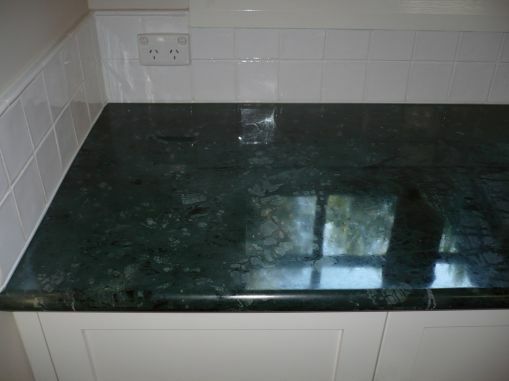 Harder stone (granite and basalt) may require a Resurfacing treatment. Prevention and protection is important in order to be able to minimise the occurrence of this problem. Dirt trap mats at all entry points and regular maintenance will assist in keeping the polished floors in best condition at all times. If you have dullness, loss of shine or visible foot traffic marks, you can book a free Slique Consultation – we’ll come and confirm your problem, and give you a quote for our Technicians to professionally restore the surface to as-new condition.